...but I've just been so busy, and I haven't quite plucked up the courage to get myself in front of the camera just yet! so I thought I would start by doing a blog post, and hopefully in the near future I can get myself behind the camera and do my first vlog! 7:30 Wake up to Aria singing and cooing in her cot. 8:00 Aria has her first feed of 6oz while mummy has a coffee and daddy heads off to work. We then have a play until her next nap. 9:00 Aria goes for a nap, while I get showered and dressed and tidy up the kitchen. 9:45 Aria wakes up and we get her dressed for the day, then we go for another play. 11:15 Aria goes for another nap and I put a wash on, get another coffee, and have a mooch about on various social media sites. 12:00 Wake up from nap and have a 5oz bottle. 2:00 Aria is up again and we have another play. Granny comes to visit and Aria goes extremely hyper! 3:30 Playing with Granny has totally wiped Aria, and she heads down for yet another nap! 4:00 Wake up from nap and have a 5oz bottle. 6:00 Awake from her nap and daddy home from work, we have a little play and a kick about with her nappy off, before heading upstairs for a bath. 6:45 It's bathtime! Aria has a little play and a wash, before heading into her bedroom for a massage and to get into her PJ's. 7:15 Aria has her last bottle before bed, usually 4oz and she is put in her cot for the night. While I settle her, Tom starts the dinner. 7:30 I head downstairs after settling Aria, which usually takes a bit of perseverance with the dummy! Tom finishes making dinner while I tidy the living room and get Aria's bottles ready for the night. 8:00 We've had dinner and finally sit down to relax for a couple of hours! We will usually watch a bit of rubbish TV, while I have a catch up reading and writing blog posts. 10:30 It's bedtime for us too! Aria may wake for a feed at this point (she has the last few evenings). 3:00 Aria wakes for a feed. Tom goes and makes the bottle up and I feed her - we like a bit of team work! 7:00/7:30 Back up to start the fun all over again!! 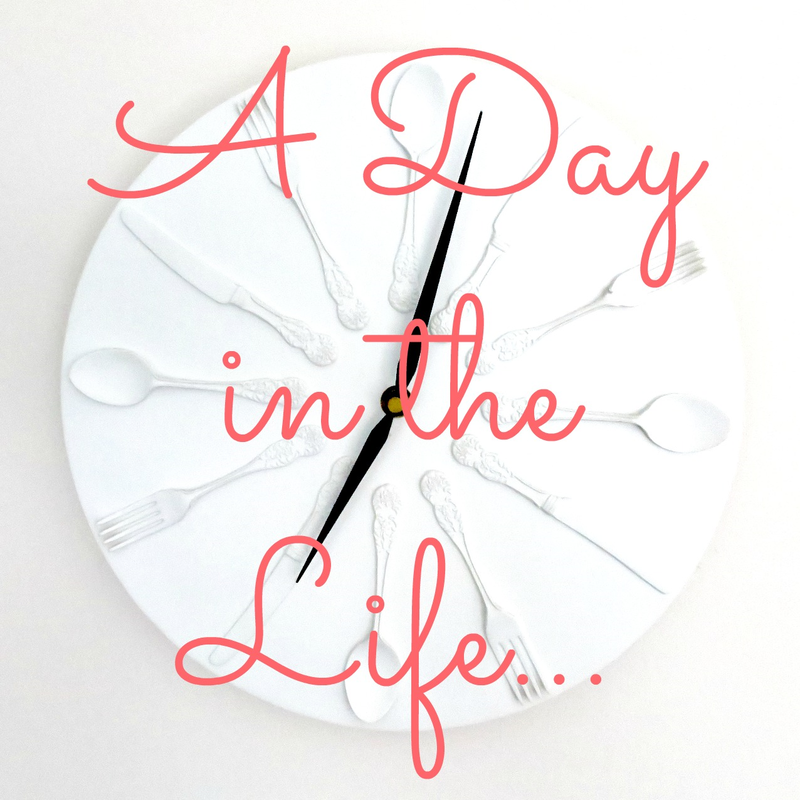 This obviously changes depending on what we have planned for the day, but I hope you enjoyed reading a typical day in the life of us!